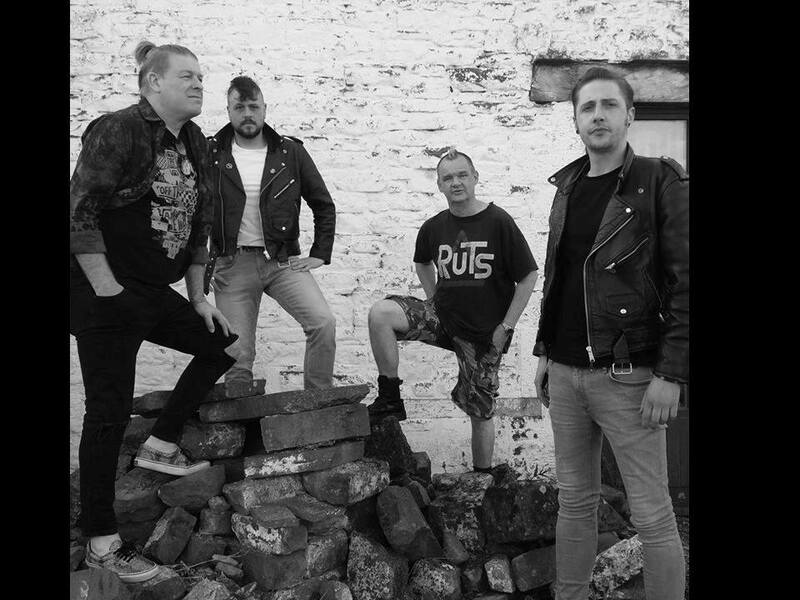 No Thrills, a punk rock band from Penrith, Cumbria are one of the most loved bands on the northern punk scene. Forming in March 1998, the original line up were a five piece consisting of members of old Penrith bands including; Aftermath, The Renwick bats, Absolution and Resurrection Joe. After going through five drummers, three bassists and two guitarists No Thrills are now a four piece with Pez – vocals, Jeeves – guitar and backing vocals, Ox – Bass and backing vocals and Tony –Drums. Over the past sixteen years No Thrills have supported some of the biggest names in punk - Dead Kennedys, UK Subs, The damned, Cockney rejects, Control and Vice squad, released three albums, 'Sally's Seven Deadly Hymns', 'Off The Rails' and 'Us Against 'em All', and have a loyal and dedicated bunch of fans who follow the band just about everywhere they play. 2013 the band went from strength to strength and saw the release of a 23 track DIY album recorded in their rehearsal room called 'It's What’s Inside', comprising of six new songs and seventeen revamped crowd favourites from down the years. With appearences at Rebellion and Nice 'N' Sleazy festival already on the books for 2014, a European tour and a new studio album in the pipeline, No Thrills are on the top of their game, loving what they do, and that radiates out through the speakers or from the stage. They arein their own words, quite litterally, "punk rock till we die"